Why do so many of us find it hard to say no? Saying yes seems to be what overextends me. Sure, I can do that. Let me help you. Gah! I never get my own stuff done. And I have stuff. I have loads of stuff. Tons of it. And all of it needs to be done. I am getting little bits of stuff done here and there. I managed to get some rewriting done on the beginning of my upcoming book. Looks now like it’ll be published in June. I’ll try for the 27th – one year from the date the last one came out. So much for six months between releases. Hey, a heads-up. 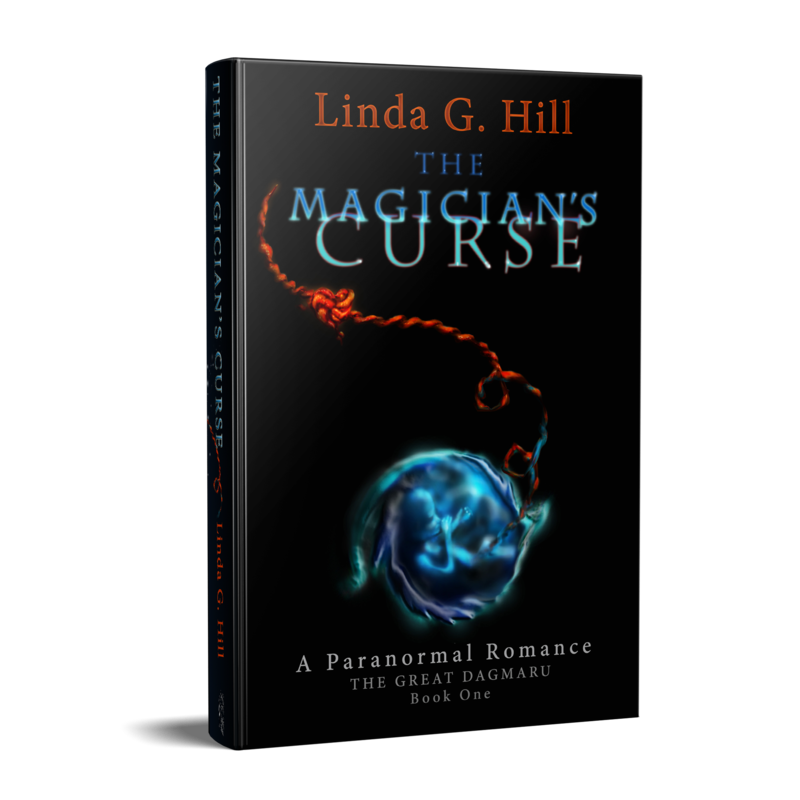 I have a book blog tour for The Magician’s Curse running for ten days starting April 30th, so you’ll probably be sick of hearing about it by the 9th of May. But I do plan to put it on sale, so there’s that. OH, one thing I did manage to get done was I phoned the company who manufactured my smoke alarms. They’re going to replace them for free. Now I just have to not start a fire in my house between now and the time they show up in the mail. I can do that, right? I can say no to fire. Well, it’s officially Sunday here now, so I suppose I should stop writing my Stream of Consciousness Saturday post. If you’d like to join in (late, like me) or just read all the other entries, click the following link: https://lindaghill.com/2018/04/27/the-friday-reminder-and-prompt-for-socs-april-28-18/ It’s fun! 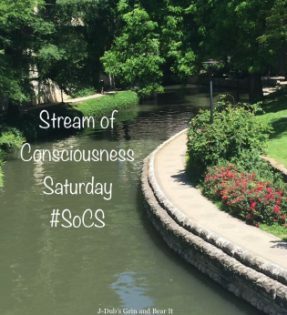 Categories: Blogging, Blogs, Life, Opinion, Stream of Consciousness Saturday | Tags: absolutely not A to Z Challenge 2018, Humor, humour, inspiration, smoke alarms, SoCS, writing, writing prompt | Permalink. My illegal following of the A to Z Challenge went off the rails yesterday when I missed the letter “U.” May as well handcuff me and drag me off to blogger jail, because I’m back with “U” and “V” combined today. And I’m a bit of a grumpy camper, so make sure those cuffs are good and tight. And could we PLEEAASE make blogger jail my room? Where my bed is? ‘Coz I’m sleep-deprived. You see, last night at (hang on, what does it say on my Fitbit?) 1:29am, my eldest son came into my room and told me I had to get up. Confused, I dragged myself down the stairs trying to make sense of why he was saying he wanted to call 911. Turns out he’d preheated the oven not realizing that he’d spilled butter in it the last time he used it. There was smoke. There was so much smoke that even with three windows and a door open in the kitchen, my eyes were still watering and my throat still hurt. The oven was off but smoke still billowed out of the vent while it cooled down. According to my trusty Fitbit, I didn’t get back to bed until 2:11. Where I lay and contemplated the fact that my son woke me up, not my fire alarm. My throat hasn’t recovered yet. Categories: Blogging, Life, Random | Tags: #atozchallenge, absolutely not A to Z Challenge 2018, cooking hazards, fire alarms, Fitbit, inspiration, kids, oven fires, sleep, something has it in for my kitchen | Permalink. It’s twenty to twelve on “T” day (not that I’m keeping track or anything), and I’m tired. Been looking at the screen most of the day, trying to get my book edited. 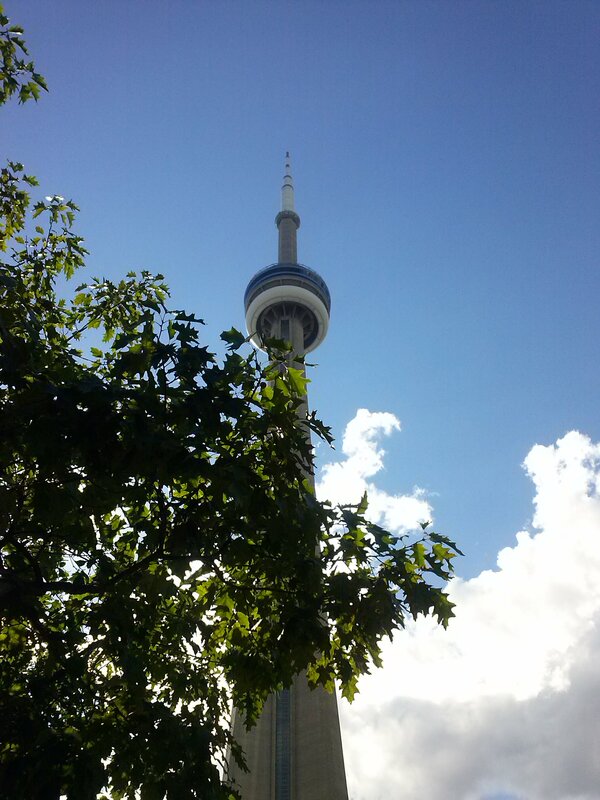 But now all I can think about is Toronto. The city where I was born. The city where ten people died today after getting run over by a truck on the sidewalk. Those poor innocent people. It’s horrifying to know it can happen anywhere, at any time. It’s horrifying that so many of us are become desensitized to it. It’s horrifying that it’s not as horrifying as it used to be, even a couple of years ago, when multiple people died by a senseless, violent act. Is this what we’re coming to? Or is it what we, as a species, always were? So many questions for such a late hour. I’m at a loss. Categories: Blogging, Opinion, Photograph, Random | Tags: #atozchallenge, absolutely not A to Z Challenge 2018, Canada, CN Tower, love, senseless violence, support, Toronto, Yonge and Finch | Permalink. I’m supposed to be writing a post today. But the truth is, I’ve run out of things to say. My eyeballs are popping out of my head. Or they would be if my eyelids weren’t made of lead. but today is running out of time. So I guess this is what I’m stuck with. Because nothing rhymes with “stuck with,” either. Before this lame post gets any lamer. Categories: Blogging, Blogs, Life, Poetry, Random | Tags: #atozchallenge, absolutely not A to Z Challenge 2018, Humor, humour, inspiration, sleep, support, WordPress | Permalink.